Supplementary material reads: "Photo assignment for Sunday February 10 at 11:45 a.m. Special. Wet negs. to managing editor. Pls. 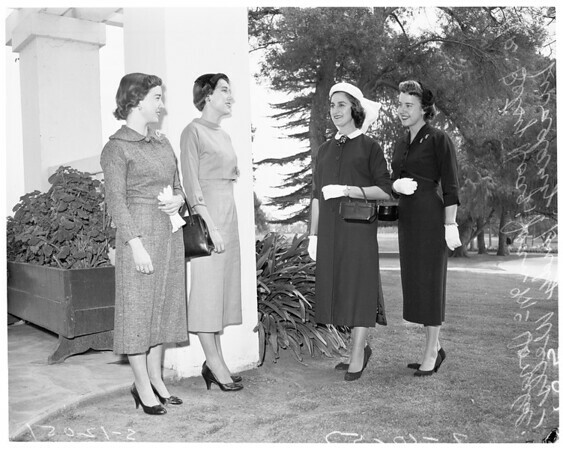 go to Los Angeles Country Club, see Miss Cameron of Spinsters, get shots of no more than four new members at brunch. Candid, animated, at buffet table. Three cols., so close together. Wet negs. to managing editor for use in Monday Society. Thanks, Carter Ludlow".